Kick off your visit on the 15th (Mon): take in the architecture and atmosphere at Helsinki Cathedral and then look for gifts at OMA Puoti. 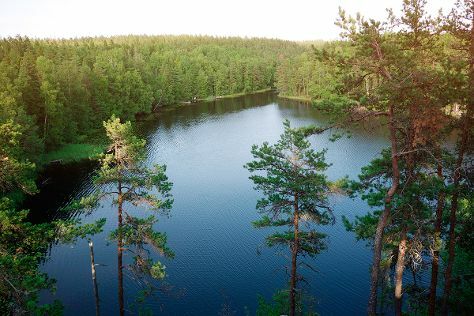 Here are some ideas for day two: explore the striking landscape of Nuuksio National Park. For ratings, where to stay, other places to visit, and more tourist information, go to the Helsinki vacation planner. Brussels, Belgium to Helsinki is an approximately 5.5-hour flight. You can also do a combination of train and flight; or drive. Traveling from Brussels to Helsinki, you'll lose 1 hour due to the time zone difference. Prepare for a bit cooler weather when traveling from Brussels in April: high temperatures in Helsinki hover around 9°C and lows are around 0°C. Finish your sightseeing early on the 17th (Wed) to allow enough time to drive to Turku. Kick off your visit on the 18th (Thu): enjoy the sand and surf at Ispoinen Beach and Sauna, get your game on at Moomin World, and then stroll through The Archipelago Trail. Here are some ideas for day two: have fun at Adventure Park, get a tailor-made plan with Ett Hem Museum, then step off the mainland to explore Vepsa Island, and finally test your problem-solving skills at popular escape rooms. 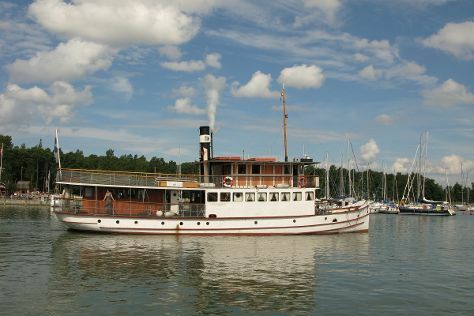 To see photos, ratings, and tourist information, refer to the Turku online tour itinerary planner . Drive from Helsinki to Turku in 2 hours. Alternatively, you can take a train; or fly. Expect a daytime high around 9°C in April, and nighttime lows around -1°C. Finish up your sightseeing early on the 19th (Fri) so you can go by car to Rauma. Rauma is a town and municipality of ca. Start off your visit on the 20th (Sat): visit a coastal fixture at Kylmapihlaja Lighthouse Island, then brush up on your military savvy at Rauman Merimuseo - Rauma Maritime Museum, and then get outside with Kuuskajaskari. For where to stay, photos, reviews, and other tourist information, read Rauma trip itinerary builder app . Traveling by car from Turku to Rauma takes 1.5 hours. Alternatively, you can take a bus. In April, daytime highs in Rauma are 8°C, while nighttime lows are -1°C. Finish your sightseeing early on the 20th (Sat) to allow enough time to drive to Tampere. Start off your visit on the 21st (Sun): explore the wealth of natural beauty at Seitsemisen Kansallispuisto. On your second day here, have fun at Pyynikki's Swim Hall, then have some family-friendly fun at Irti Maasta Tampere, then let the kids burn off some steam at Duck Park (Sorsapuisto), and finally test your team's savvy at popular escape rooms. To find where to stay, traveler tips, more things to do, and more tourist information, you can read our Tampere trip planner . Drive from Rauma to Tampere in 2 hours. Alternatively, you can do a combination of bus and train; or take a bus. In April, daily temperatures in Tampere can reach 8°C, while at night they dip to -1°C. Finish your sightseeing early on the 22nd (Mon) to allow enough time to travel back home.